LA TRINIDAD, Benguet – Bannering this year’s theme “Barangay Kaagapay, Alis Rabies Tagumpay” the province of Benguet commenced the Rabies Awareness month celebration through a motorcade from the provincial capitol passing by Buyagan to Km 3 La Trinidad and back the capitol on March 6, 2018. The said activity was spearheaded by the Provincial Veterinary Office (PVO) of Benguet in partnership with the different organizations and agencies in the region such as the Department of Agriculture (DA -CAR), Department of Health (DOH-CAR), Department of Interior and Local Government Unit (DILG-CAR), Benguet Provincial Health Office (PHO), Philippine National Police (PNP), Department of Education (DepEd-CAR), Benguet State University (BSU) College of Veterinary Medicine, and the different municipalities of Benguet. According to Mark Lloyd Wadasen, Veterinarian I of PVO, the motorcade is to promote awareness to the people and let their dogs be vaccinated as to being responsible pet owners. “We actually hired 4 vaccinator and coordinated schedules for the different municipalities regarding the free vaccination,” said Wadasen. Before the kick off activity, the PVO conducted Information Education Campaigns (IEC) through lectures and giving IEC materials like leaflets and brochures. “The IEC was participated by 15 representatives in each barangay of the different municipalities,” added Wadasen. 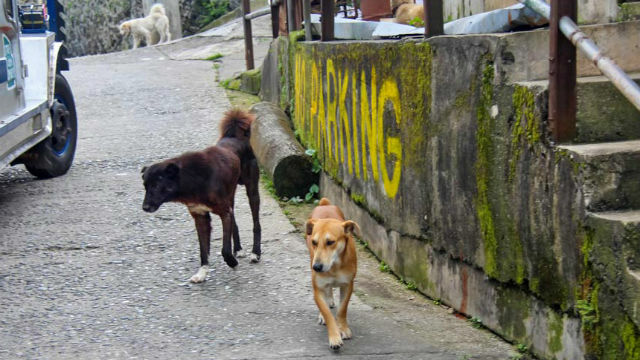 Accordingly, in the past six years there were 10 positive cases on rabies recorded in Benguet. However, the PVO still strengthened its campaign through encouraging each municipalities to adopt and localized rabies ordinances. Moreover, the awareness and advocacy campaign is a year round activity highlighted on two occasions which is March as the Rabies Awareness Month in pursuant to RA 9482 or the Rabies Act of 2007 and September 28 as World Rabies Month. On the other hand, as of February this year, the DA-CAR recorded 8 positive cases from the provinces of Kalinga with three cases, two in Ifugao, Apayao, Mt. Province and Tabuk City with one case. “We hope that this would be last case and we still encourage all the provinces to continuously conduct mass vaccination of dogs and cats and also IEC,” said Dr. Cecilia Capuyan of DA-CAR. The Regional Animal Disease Diagnostic Laboratory (RADDL) also urged pet owners and other stake holders to submit the head of dead dogs for further testing, since it is also free. Roy Fiaching, Regional Rabies coordinator of DOH-CAR, mentioned that the temperature in March is hot, thus the dogs and cats are aggressive to facilitate transmission of rabies. The pet owners should look into their pets, make sure they are vaccinated, and must give proper food and shelter. Rabies is viral disease of mammals especially from dogs and cats often transmitted through the bite of infected saliva of the animal. The rabies virus infects the central nervous system, ultimately causing disease in the brain and death. Rabies is 100% fatal but 100% preventable.